Shackerstone Family Festival is situated close to the Leicestershire, Warwickshire border. It offers two days of events over the weekend Saturday 31st August and Sunday 1st September. 2019 will see the 25th year this wonderful gem of an event taking place. 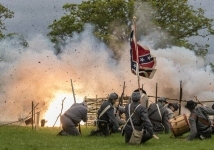 Each year the small, sleepy Leicestershire village of Shackerstone springs to life with the sights and sounds of the Shackerstone Family Festival. 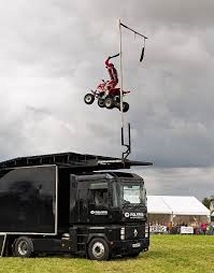 A unique event that includes arena entertainment, vintage cars, canal boats, planes, railways and much more besides! The not for profit organisation has run by volunteers since 1995 and has helped raise over £700,000 for good causes, both national and local. Shackiesaurus Children’s Club with the Antics Crew! 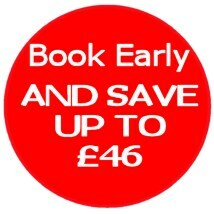 The earlier you book, the cheaper it is, book before 30th June and save £46 on the late booking price, bargain! Camping can be from Thursday 29th August from 10:00. There is a special discounted booking price to UKCampsite.co.uk users, depending when the booking is made and an additional Early Bird booking discount (please see the booking form). There is a reduction in the cost for camping for single campers. Two Free Adult Weekend Passes for entry to both days and evenings of the Festival. Level grassed field with running water, Elson tank and toilets including disabled. NO showers or power connections. There is Security on site from Friday evening until close on Sunday. Catering on site all weekend. Entertainment on Friday and Saturday evenings for campers and those taking part in the festival (not open to the general public. The booking forms with the discounts shown are now available to be downloaded and you can view and print them here. Print it out, fill it in, and send it off (don't forget to include a SAE) to Geoff and Pauline at the address on the form. filled form in and sent off can't wait. Form arrived in post, will be filled in and sent before deadline for cheaper tickets. For anyone who's not been before this is a great weekend, we take 2 of our grandchildren and they have a really good time when they are there, no tablets, ipads, just leave them to make their own games up.